Visibly energizes and freshens the skin. Encourages optimal elasticity and skin suppleness. Water/Eau, Vitis Vinifera (Grape) Fruit Water, Butylene Glycol, Glycerin, Saccharomyces/Xylinum/Black Tea Ferment, Moringa Pterygosperma Seed Extract, Hydrolyzed Soy Protein, Hydrolyzed Wheat Gluten, Ceratonia Siliqua Gum, Tropaeolum Majus Extract, Biosaccharide Gum-1, Biotin, Maltodextrin, Sodium Hydroxide, Sodium Citrate, Hydroxyethylcellulose, Citric Acid, Ethylhexylglycerin, Sodium Dextran Sulfate, Potassium Sorbate, Sorbic Acid, PPG-26-Buteth-26, PEG-40 Hydrogenated Castor Oil, Benzophenone-4, Phenoxyethanol, Fragrance, CI 42090 (Blue 1), CI 17200 (Red 33), Benzyl Salicylate. GRAPE LIVING WATER: The purest water from the heart of grapes, extracted through a patented process without the use of chemical solvents, helps catalyze the skin’s enzymatic processes as it replenishes essential oils, mineral salts and trace elements. Grape polyphenols have demonstrated a powerful antioxidant effect. KOMBUCHA EXTRACT: Also known as "long-life mushroom”, Kombucha smooths and freshens the skin. It has been shown, in vitro, to decrease glycation and produce a "lipofilling" plumping effect. Clinical tests on skin have demonstrated that it diminishes roughness and increases brightness and clarity. Apply every morning and evening immediately after your usual cleansing steps, before application of a serum and / or a cream. Pour a few drops onto the palm of the hand and smooth over face and neck avoiding the eye area (no need to apply with a cotton pad). Like a mix between a toner and a primer, it leaves skin super cared for and it has anti-pollution benefits, mentioned product leaflet. This essence is ideal to finish cleansing and prepare your skin for the next steps in skincare ritual. It allows active ingredients of other products penetrate skin deeper thus enhancing their efficacy. Depending on your skin needs and season, this essence can be used as additional booster or incorporated as part of your everyday skincare routine, as well as become an ideal base for a mask. Will never use a toner again, this is much better. No alcohol and leaves skin more refreshed so use it twice day. Bottle is too heavy and I don't like it, product is great. How is this essence different from a toner? 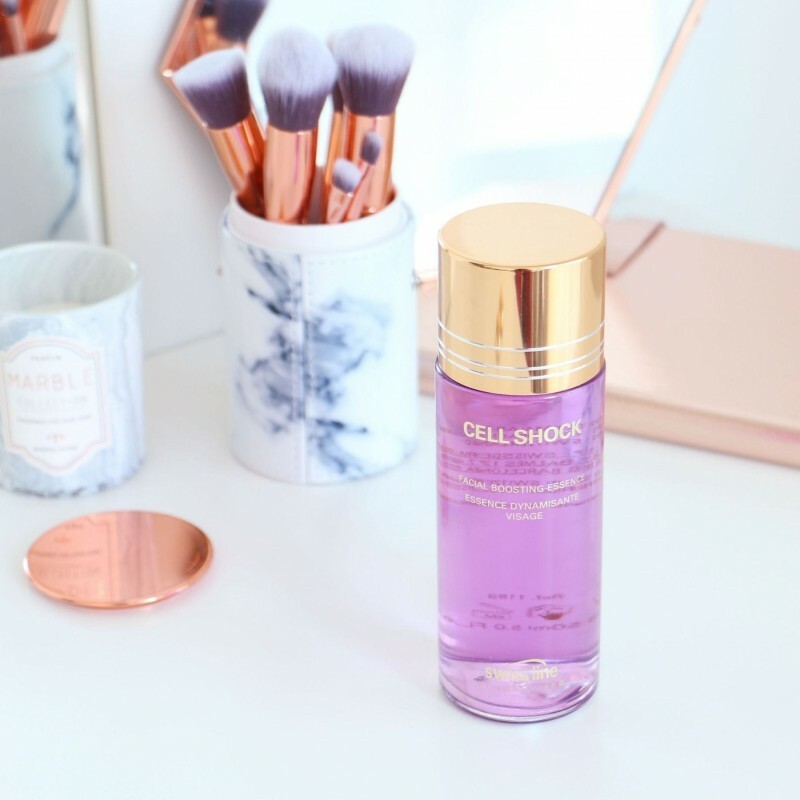 Our Cell Shock Facial Boosting Essence has much higher concentration of active ingredients than a toner and contains the Urban Detox Complex with strong anti-pollution properties. It primes the skin for the products that follow, enhancing their action.